An old murder. A new threat. Can Poe find the killer before it’s too late? Edgar Allan “Poe” Rutherford is Maui’s best unlicensed private investigator. When a client asks Poe to look into a decade-old death on the beach, he can’t help but be intrigued. The police ruled it a suicide, but it’s up to him to prove otherwise. As soon as Poe takes the case, people related to the victim start turning up dead--a sure sign that he’s on the right track. But can Poe identify the killer… before he becomes the next victim? 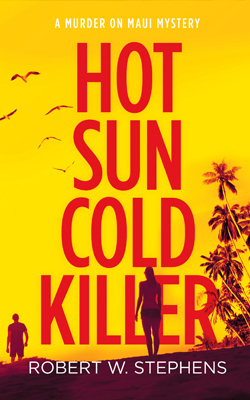 Hot Sun Cold Killer is the fourth standalone novel in a series of clever mysteries set in paradise. If you like colorful characters, witty humor, and warm sand between your toes, then you’ll love Robert W. Stephens’ Murder on Maui series. Buy Hot Sun Cold Killer to crack the case today!